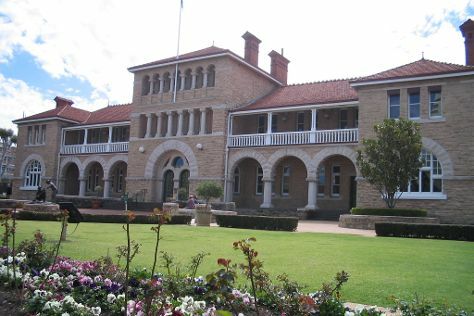 On the 19th (Fri), explore the activities along Swan River, steep yourself in history at The Perth Mint, then enjoy the sand and surf at Cottesloe Beach, and finally pause for some photo ops at Kings Park War Memorial. For other places to visit, reviews, more things to do, and other tourist information, you can read our Perth trip planner. The Route module shows you travel options from your home to Perth. In April, daily temperatures in Perth can reach 31°C, while at night they dip to 15°C. Wrap up your sightseeing on the 20th (Sat) early enough to travel to Geraldton. Geraldton is a coastal city in the Mid West region of Western Australia, located 424km north of Perth.At June 2015 Geraldton had an estimated urban population of 39,825. 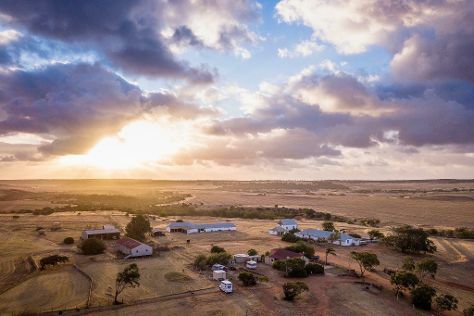 On the 20th (Sat), contemplate the long history of Oakabella Homestead, Tea Rooms and Campground, kick back and relax at Town Beach, and then look for all kinds of wild species at Greenough Wildlife Park. To see photos, other places to visit, more things to do, and tourist information, read our Geraldton travel planner. Fly from Perth to Geraldton in 3 hours. Alternatively, you can drive; or take a bus. In April, plan for daily highs up to 33°C, and evening lows to 18°C. Finish your sightseeing early on the 21st (Sun) so you can drive to Denham. Denham is the administrative town for the Shire of Shark Bay, Western Australia. Start off your visit on the 21st (Sun): go for a stroll along the water at Shark Bay and then kick back and relax at Shell Beach. On the 22nd (Mon), you'll have a packed day of sightseeing: explore the wealth of natural beauty at Francois Peron National Park. To see reviews, ratings, where to stay, and more tourist information, go to the Denham online trip planner . You can drive from Geraldton to Denham in 5 hours. Another option is to do a combination of bus and shuttle. Finish up your sightseeing early on the 23rd (Tue) so you can go by car to Coral Bay. Coral Bay is a small town on the coast of Western Australia, north of Perth. Kick off your visit on the 23rd (Tue): kick back and relax at The Coral Bay Shark Nursery and then see some colorful creatures with a scuba or snorkeling tour. To find photos, more things to do, where to stay, and tourist information, refer to the Coral Bay trip planning site . You can drive from Denham to Coral Bay in 6.5 hours. Other options are to do a combination of car and bus; or do a combination of shuttle and bus. Wrap up your sightseeing on the 24th (Wed) early enough to drive to Exmouth. Exmouth is a town on the tip of the North West Cape in Western Australia. 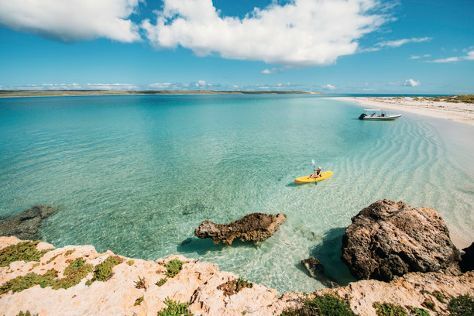 Start off your visit on the 24th (Wed): enjoy the sea views from Vlamingh Head Lighthouse, look for all kinds of wild species at Ningaloo Coast World Heritage Area, and then meet some fierce fish with a shark diving experience. For traveler tips, ratings, more things to do, and other tourist information, read our Exmouth trip maker site . You can drive from Coral Bay to Exmouth in 2 hours. Another option is to take a bus. In April, plan for daily highs up to 38°C, and evening lows to 23°C. Wrap up your sightseeing by early afternoon on the 25th (Thu) to allow time for the car ride to Ningaloo. To see reviews, more things to do, photos, and more tourist information, read Ningaloo trip itinerary maker tool . Traveling by car from Exmouth to Ningaloo takes 1.5 hours. Expect a daytime high around 38°C in April, and nighttime lows around 23°C. You will leave for Carnarvon on the 26th (Fri). Carnarvon is a coastal town situated approximately 900km north of Perth, Western Australia. To see traveler tips, reviews, and other tourist information, read our Carnarvon trip itinerary planner. Drive from Ningaloo to Carnarvon in 3 hours. In April, daily temperatures in Carnarvon can reach 36°C, while at night they dip to 22°C. Wrap up your sightseeing on the 27th (Sat) to allow time to travel to Kalbarri. To find ratings, where to stay, photos, and other tourist information, use the Kalbarri itinerary tool . Drive from Carnarvon to Kalbarri in 5 hours. Alternatively, you can fly. On the 28th (Sun), you'll have the morning to explore before heading back home.